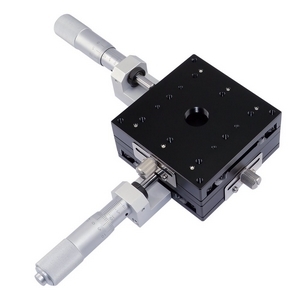 The manual XY stage uses Ball Bearing & Rolling Steel Rods with high steady. 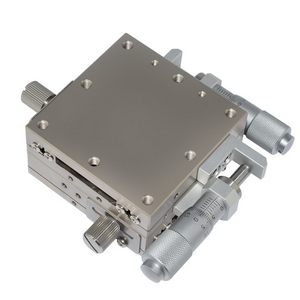 The main material of the XY stage is aluminum alloy, so the weight of the XY stage is very light and the stage can be easily built in other equipment. 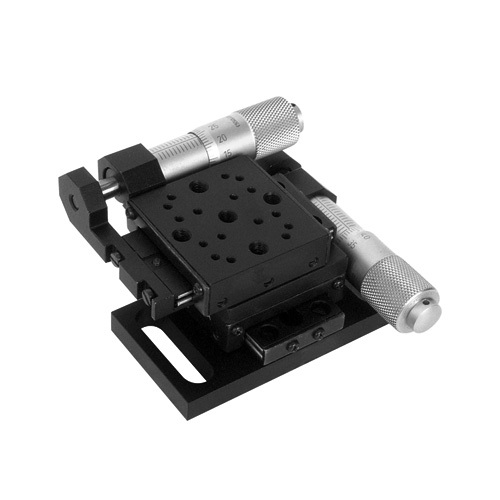 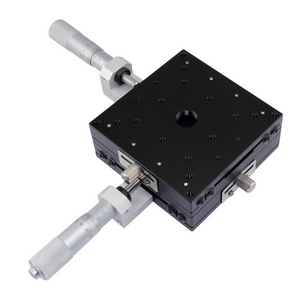 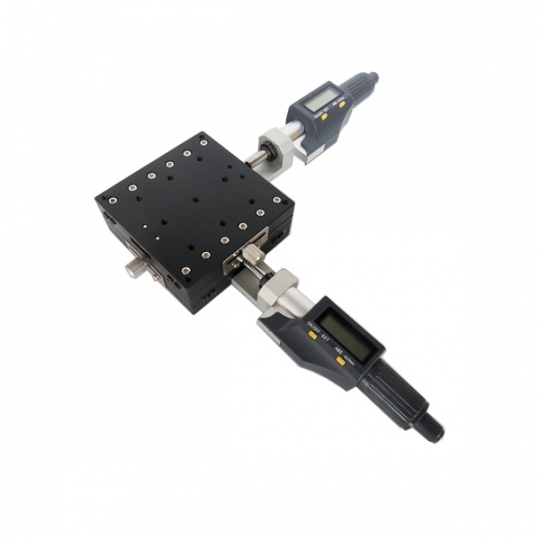 Our XY translation stages use high quality micrometer head with 0.5mm pitch. 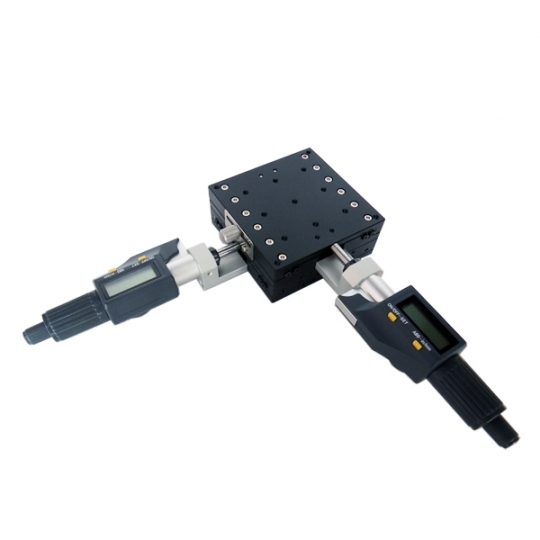 It provides 0.01mm resolution. 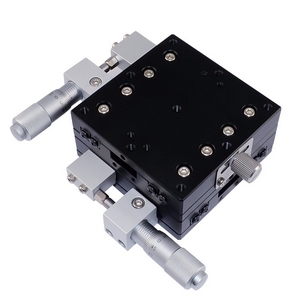 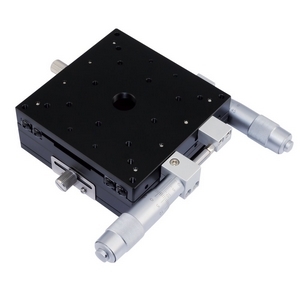 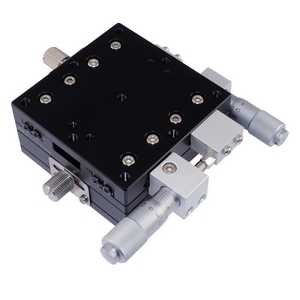 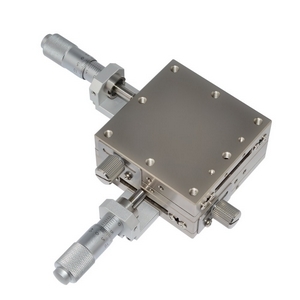 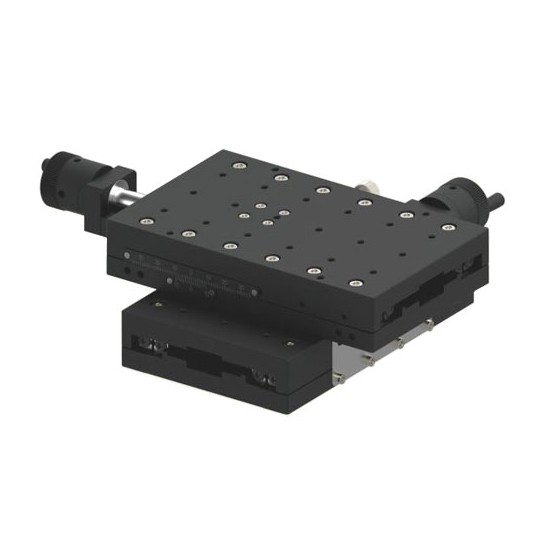 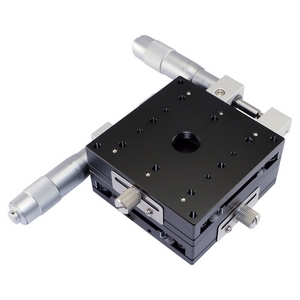 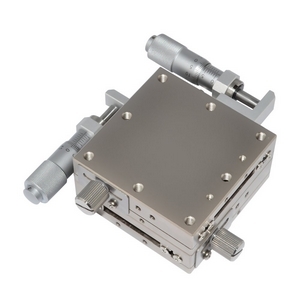 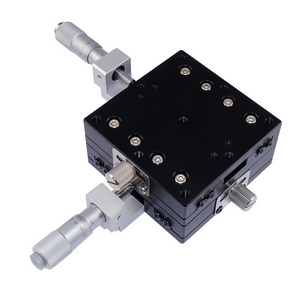 We have another XY stage with the ultra-fine screw drive. 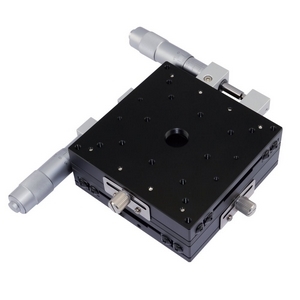 The XY stage is stacked by two MAX-B34R-13 (or MAX-B34R-13S) and one mounting plate 16MP. 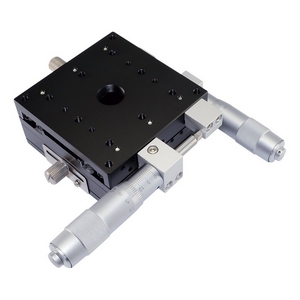 This XY stage can also be assembled to XYZ stage with the right angle bracket 1AB.